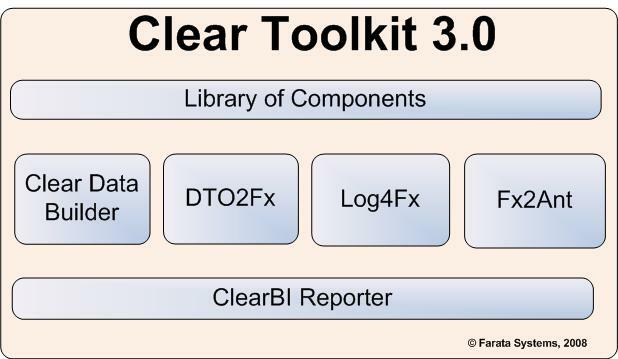 Clear Toolkit 3.0 is a set of components, code generators, and plugins created by software engineers of Farata Systems. It's been used internally in multiple Flex enterprise projects by Farata's consultants. In September of 2008, its version 3.0 goes private beta. This toolkit will be available free of charge. DTO creator is a utility that automatically generates proper ActionScript classes based on their Java peers. The beta version of Clear Toolkit will be demonstrated next week at the Enterprise Flex Symposium in New York City. If you are interested in participating as a tester in private Beta program, please fil out the contact form at faratasystems.com .